Take a closer look America. 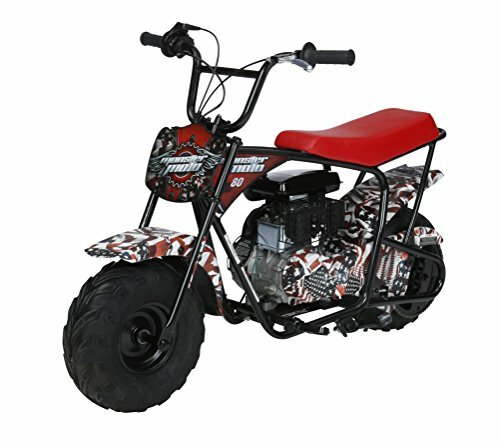 This is our brand new American Flag mini bike. You like the red, white and Blue? so do We. And that's why We created this bike. You don't hide on this bike. You use your 80Cc engine to kick dirt around and take names those aren't decals on the fender. We hand water dip our patterns directly onto the unit. So go ahead and order it. But be prepared for All the neighborhood kids to stand and salute as you ride by. As they should.